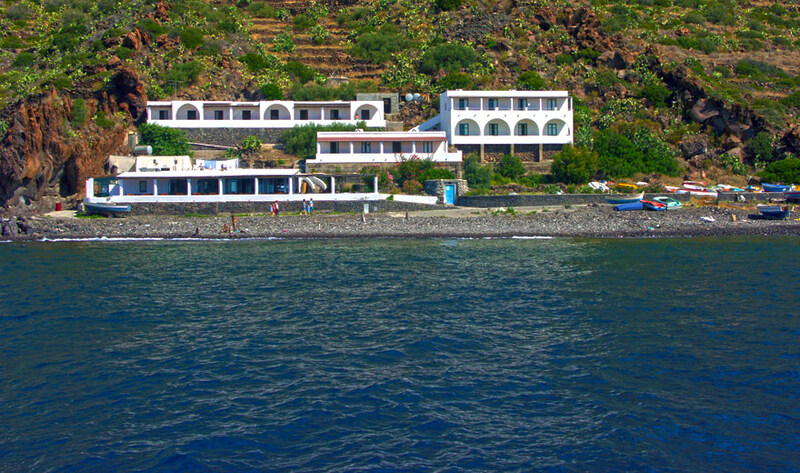 A trip round the island can be made renting a boat from one of the fishermen in the port. 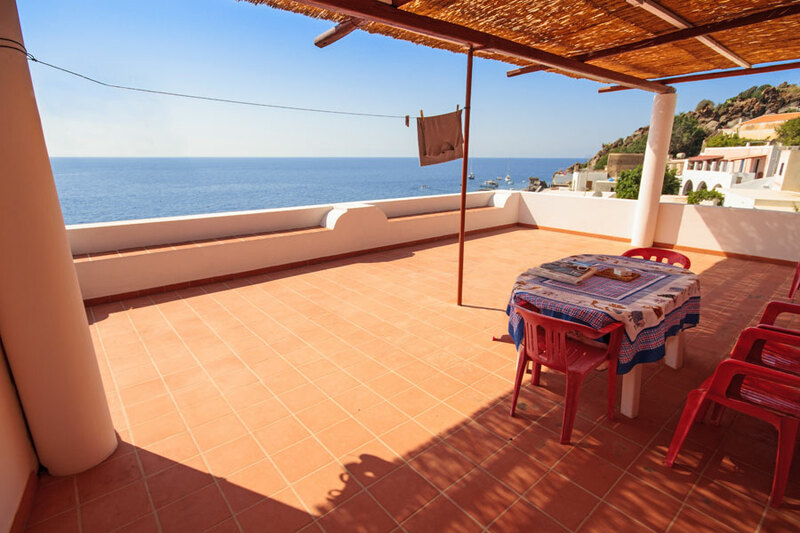 Leaving in an anti-clockwise direction, from the quay of Palomba, you follow the beach of Alicudi port. The coast line is almost entirely sheer drops into the sea without any significant bays or points, and only a few sunny beaches. From the sea you get an overall view: the village, the unkempt terraces, the church of Saint Bartholomew high up and contrada Bazzina, where the coast is a little gentler. At this point the sea is only 5-10 metres deep and is suitable for diving, but it drops sharply to greater depths. Further on, after Punta Rossa, towards the western side of the island, you can see a series of thin lava columns, called Fili, which often intersect from the top down to the sea, and a whole sequence of volcanic rocks and great ravines of crumbled lava debris, called Sciare. The western part of the island, completely uninhabited and inhospitable, is a sheer drop down to the sea. Every corner has its own shape and colour, never the same, and gives the impression of the dawn of time, before the appearance of life on earth. You pass by small cliffs covered with the guano of birds, the Sciara della Galera (or Jalera) and the Scoglio Galera, rich in marine flora and fauna, with crystal clear, uncontaminated water. Here the sea bed shelves more gently and deserves a stop and a dive. The cliff stretches out like a sword from the sea towards the coast, of which it is a continuation. Moving on you come to a very deep valley, the Sciara dell’ Arpa, which drops down into the sea directly from the mountain top. After Punta Roccazza we find the terraces again and a small cavern with a pillar, called della Palumba, dug out by the sea. Continuing, we pass by the Punta dello Scario Vecchio (old jetty), not a real jetty but a shelter from the northerly wind, the Rupe del Perciato, a natural rock arch, the Scoglio della Palomba and back again to Scalo Alicudi.